These award winning briefs are so innovative that they were featured on Discovery Channel’s How stuff works and are designed to last up to 8 hours using NASA inspired multi layered InconTek® technology similar to designs used by astronauts in space for long missions. It has a unique scheduled changing system and is therefore is one of the easiest to use. This is revolutionary because changes can actually be scheduled to only once in eight hours/ three in 24 hours putting the wearer or caregiver in control with no worry of any exposure to the effects of urine. 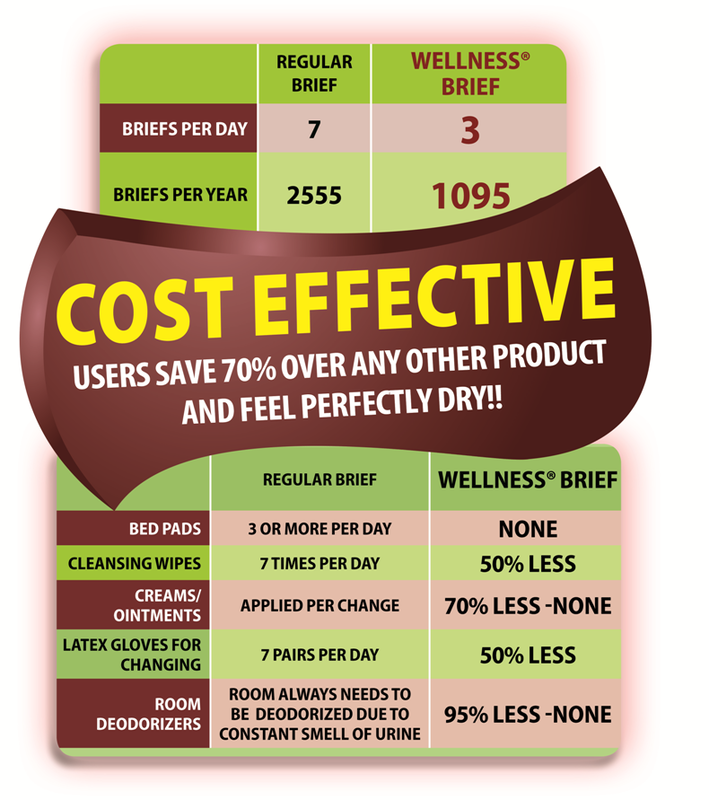 Save up to 70% over other briefs due to fewer changes and rarely requires expensive creams or ointments.